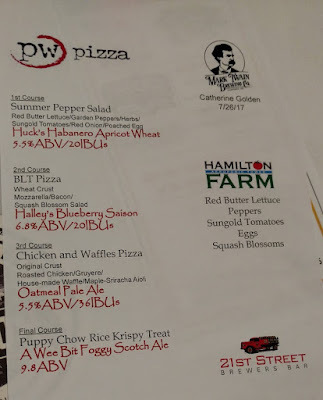 The Mark Twain Brewing PW Pizza was definitely a good one since it features one of the handful of women brewers in the area AND we got to sit at the brewer's table for this one. Cat Golden was fun to sit and talk with! Woah...the Huck's Habanero Apriot Wheat had quick the kick! 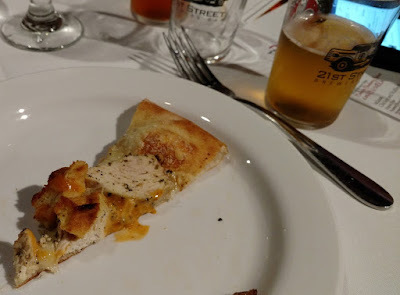 Good thinking to pair it with peppers, but the beer was way too spicy for me. 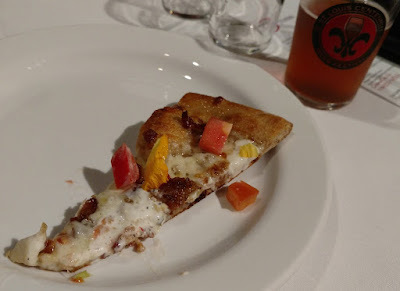 The BLT Pizza was an interesting pizza paired with Halley's Blueberry Saison. 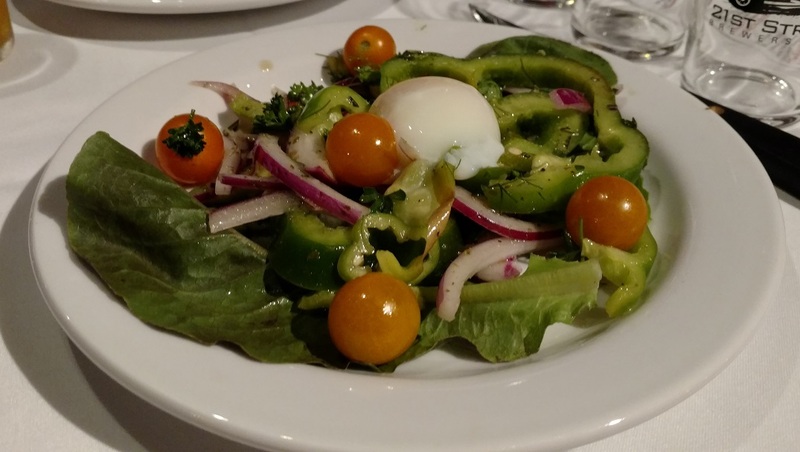 Nice and light for me! 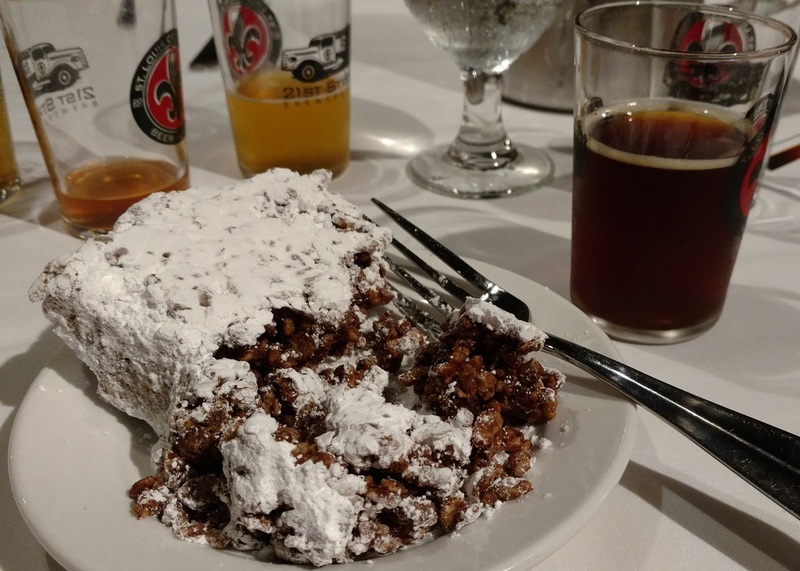 For dessert, the fun to say A Wee Bit Foggy Scotch Ale, with high ABV (although referring to fog in Hannibal) was plenty heavy since it had to stand up to a very heavy Puppy Chow Rice Krispy Treat. I don't think anyone was able to make it through the entire dish! I am definitely think road trip up to Hannibal needs to happen!